Imagine a future in which your body is infested by nanomachines who march to programs downloaded from a ubiquitous information transport system not unlike the Internet. Playing poker? Download a poker face. Nervous? Grab RelaxMeNow(TM) and feel the chill. An emergency coagulation script might even save you from a knife wound. It’s not all positive, of course. Do you really want computer programmers to tinker with the firing of neurons in your brain stem? Do you want to run the equivalent of Microsoft Windows inside your, with all that implies? Nobody needs a Blue Screen of Death while operating heavy machinery. 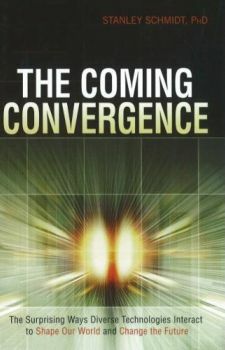 The implications of this technology are not just medical and psychological, of course, and from here the author of these conceits, David Louis Edelman, has gone on to create a dystopian future in which this body-enhancing technology has transformed life for billions. The people behind these technological advances have been elevated to status of Gods – in the sense that God Himself, as a creator and sustainer, has been displaced. Socio-psychological thought systems, rational in the general use of the term, have become rather more common than irrational religious groups. 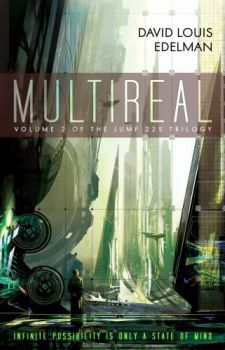 MultiReal is the second volume of the Jump 225 trilogy, set one millennium hence. The first volume, Infoquake, introduced an entrepreneur called Natch, who is a psychologically wounded, driven man who puts success above everything. He comes to own a so-called Fiefcorp and, ultimately, a technology called MultiReal, the technology around which the story revolves. What is MultiReal? This is never satisfactorily explained, but perhaps that is a deliberate choice from Edelman. We know that the technology allows an originating user to initiate a computational session with a target user. The originator can then trap the target in a loop of possible scenarios for the immediate future. When the originator has chosen the behaviour that he or she wishes the target to exhibit, the MultiReal software compels the target to act – in precisely the manner requested and anticipated by the originator. Thus the originator can influence the choice of the target; can influence muscle movements; and so on. This is not a wholly original idea, but Edelman’s approach, as ever, is one of implication. What would happen if the target activated a second instance of MultiReal to defend himself? Who would win, and why? It comes down to choice cycles; the user with the greatest number wins. What would happen if the MultiReal technology was released, unadulterated, to the public? The simultaneous use of such a technology might exceed the limit of all available computational capacity. This would lead to the mother of all Infoquakes – nanomachine crashes. And yet what consequences would the differential uptake of MultiReal have for society? What if the ‘haves’ could use it to exploit the ‘have nots’? What bullet-dodging MultiReal army could ever be defeated? These questions are explored, to greater and lesser extents, in the book. It’s a story of ideas. So many, in fact, that Edelman has provided several appendices and his website includes more than 30,000 words of supplemental material. As a work of fiction, MultiReal improves as it goes on. The protagonist, Natch, is a somewhat reprehensible character, and yet he enjoys moments of high ethical behaviour. The members of his fiefcorp are engaging, if underwritten. The Villains are rather too capital-V for my liking, but Edelman does present some of them with more shades of grey, particularly the cryptic Magan Kai Lee. Overall, the book is an entertaining read that explores some startling implications of biological programming, and sets the scene nicely for volume three. 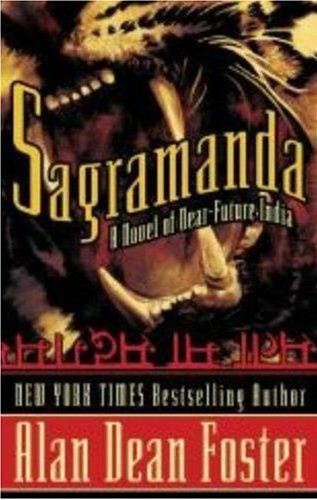 Wednesday 30th April sees the presentation ceremony for this year’s Arthur C Clarke Award for the best science fiction novel published in 2007. Never short on controversy, this year’s shortlist has generated plenty of discussion and debate – no less for the novels that are missing from it than for those that are present. 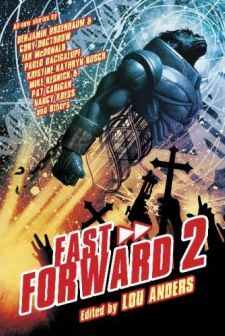 It’s Futurismic‘s great privilege to feature this round-up review of the Clarke Award shortlist by noted science fiction novelist, critic and academic Adam Roberts. So settle down with a good big cup of coffee, let Professor Roberts walk you through the shortlist … and then place your bets on the winner in the comments! There’s been a deal of pother about this year’s Clarke shortlist, more even than this often-controversial event usually generates. Surprise at the omission of a number of highly regarded titles – we might mention, say, McDonald’s Brasyl and Chabon’s Yiddish Policemen’s Union – fuelled bloggish mutterings about hidden agendas, panderings to Evil Mainstream Lit and a desire to generate Turner Award-style notoriety rather than simply to choose last year’s best SF novel.